Kopcerin is a clear, colourless liquid with characteristic odour. It is a unique multi functional additive for cosmetic preparation and globally accepted. It acts as an effective emollient leading to an improved skin feeling with no stickiness after application. Multifunctional skin care additive for cosmetic formulations. Being an excellent emollient, Kopcerin will compensate disadvantages of glycerin, such as slow penetration, tackiness or soaping and also increase absorption of glycerine containing emulsions. Being an excellent moisturiser and effective against odour causing bacteria, finds use in wet wipes. 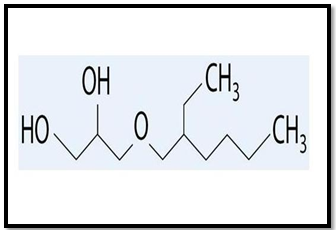 Glycerin esters are attacked by lipolytic enzymes. However, Kopcerin is having glycerin ether structure. It acts as a booster of cosmetic alcohols and glycols. Being a safe ingredient, Kopcerin can be an effective replacement for parabens. Kopirox PE is a broad spectrum liquid preservative comprising a powerful fungicide in an antibacterial liquid carrier designed for preservation of a wide range of cosmetics and toiletries. Kopirox PE a paraben free alternative for safe preservation. It is heat stable and has a broad pH range liquid blend with thickening properties. Triclosan is a potent wide spectrum antibacterial and antifungal ingredient. 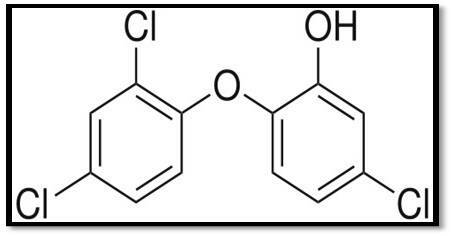 It is a chlorinated aromatic compound which has functional groups representative of both ethers and phenols. Phenols often show antibacterial properties. Triclosan is used in soaps, deodorants, toothpaste, shaving creams, mouthwashes and cleansing supplies and is included in an increasing number of consumer products. Triclosan is very effective in reducing and controlling bacterial contamination on the hands and on treaded products. At use concentration, Triclosan acts as a biocide with multiple cytoplasmic and membrane targets. At lower concentrations, Triclosan appears bacteriostatic and is seen to target bacteria mainly by inhibiting fatty acid. Solubility Practically insoluble in water, soluble in ethanol, methanol. Slightly soluble in hexane. GMP certified and USFD approved. Benzethonium Chloride is a synthetic quaternary ammonium salt. It is a white crystalline solid, soluble in water. These compounds are effective in low concentrations and active against wide variety of bacteria, yeasts and fungus. Solubility Soluble in water, alcohol and chloroform. Slightly soluble in ether. Postive charge is attracted to the skin and hair. This contributes to a soft, powdery after feel on the skin and hair as well as long lasting persistent activity against micro-organisms. Positively charged hydrophilic part of the molecule makes it cationic. 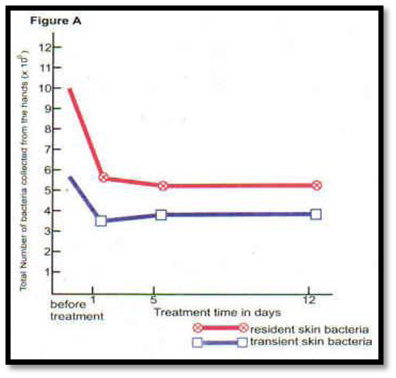 FDA permits BTC to be used in OTC antimicrobial drug product intended to clean skin wounds. In pharmaceuticals, zinc citrate fights common colds. Zinc is increasingly used in food supplements, functional foods and beverages, and personal care. Helps in normal function of the immune system, eyesight, bones, skin hair and nails. The anhydrous form of this material is listed on the United States TSCA (Toxic Substance Control Act) inventory. Kopcitrate TH is known as Zinc citrate trihydrate. It is mainly used for antimicrobial and anti-inflammatory effects. It also controls bad air breath and unpleasant mouth taste, as zinc inhibits the bacterial production of Volatile Sulphur Compounds responsible for mal-odor (bad breath). Koplactate Zn is used in oral care applications, as it is effective against microbial inhibition and mal odor. Also, it acts as skin whitening agent, as it exhibits the synergistic effect when combined with other skin whitening agents. In skin whitening applications such as fairness cream, oral care applications such as toothpaste. Prolonged release of actives could be achieved both in tablets prepared with lipid micro particles as in gelatin capsules. Kopxylenol is a secure, high efficient, broad spectrum, low toxic antiseptic. PCMX is an antimicrobial chemical compound used to control bacteria, algae, and fungi in adhesives, emulsions, paints, wash tanks, shampoo, bar soap, glue, fiber, paper making and leather. Medical Use: Skin disinfectant before operation, sterilization of medical equipments, daily clean of equipments and hard surface. Kopcerin CG is a blend of Ethylhexylglycerin and Caprylyl glycol. It is effective against bacteria, yeasts and moulds. A formaldehyde free preservative, alternative to parabens and soluble with alcohols and glycols. Kopcerin DO is a blend of Ethylhexylglycerin and Propylene glycol. It is effective against bacteria, yeasts and moulds. It is also a non-formaldehyde releasing preservative and stable to hydrolysis. It’s effective against odour causing Staphylococcus hominis and Staphylococcus epidermidis. Kopcerin PE 1090 is a blend of Ethylhexylglycerin and Phenoxyethanol. TEffective against bacteria, yeasts and mould. Skincare: Night creams, Hand creams, Face and Neck Cream, Lotions, Powders, Soaps, Deodorants. Colour Cosmetics: Eye Liner, Lipsticks, Mascara. Hair care: Hair Conditioners, Shampoos, Hair Sprays. Kopirox PO5 is a broad spectrum liquid preservative comprising a powerful fungicide in an antibacterial liquid carrier designed for preservation of a wide range of cosmetics and toiletries. Kopirox PO5 a paraben free alternative for safe preservation. It is heat stable and has a broad pH range liquid blend with thickening properties. Kopraphinol is a natural preservative combining the current trends for alternative preservative systems and peptide technology. Derived from radish fermented with lactic acid bacteria and also this product consists of an isolated peptide that is secreted from the bacteria during the fermentation process.